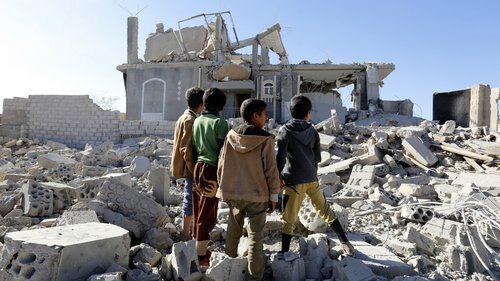 “We are thrilled to see the Senate take such a significant step forward in reclaiming Congress’ Article I war powers with the passage of the motion to discharge the Yemen War Powers Resolution. “The Senate has finally spoken out on such a clear-cut case of executive overreach as the United States’ undeclared, unconstitutional involvement in the Yemeni civil war via support for the Saudi-led coalition. It has spoken in favor of Congress once again debating the question of our foreign military engagements and against the seizure of war powers by the executive branch. “Eight months ago, a vote on the same resolution failed, with only 44 senators voting to advance the legislation. Today, 63 senators voted to move to a floor debate on the issue of war or peace regarding the United States’ support for the Saudi-led coalition’s involvement in the Yemeni civil war. “This involvement, which began under the Obama administration, is a clear affront to everything the framers of the Constitution held dear, including separation of powers. There is little more dear to constitutional conservatives than the wise words of James Madison, who wrote on the importance of this very subject.